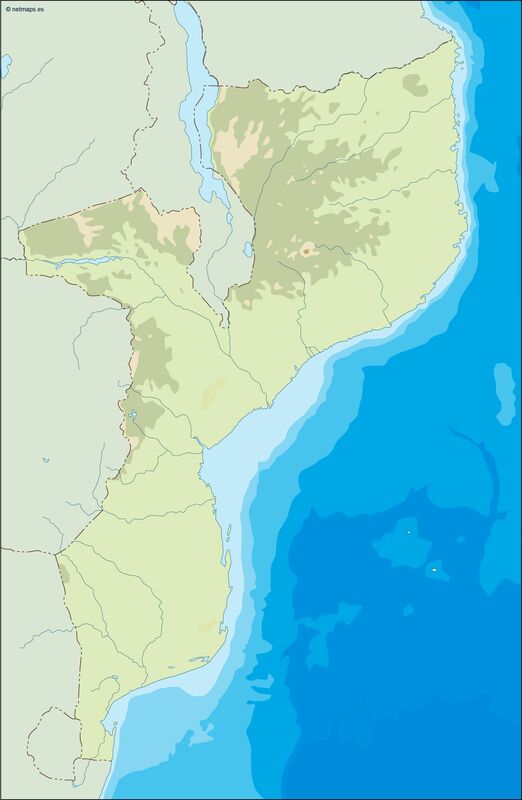 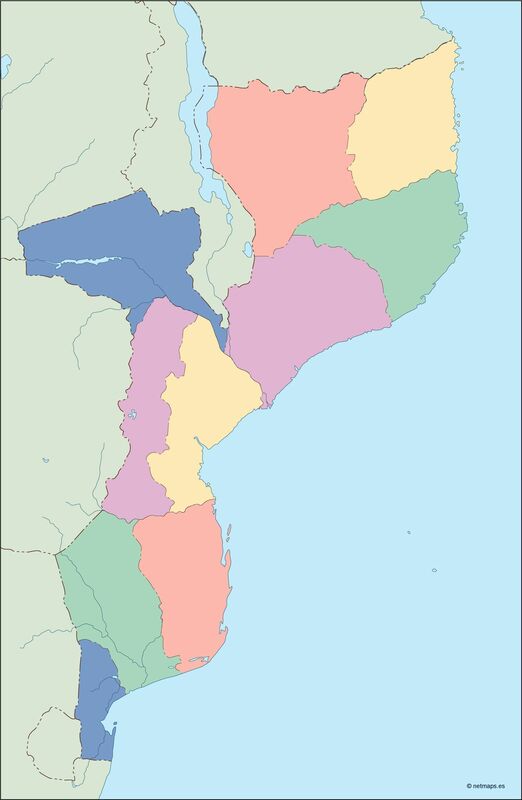 Mozambique Maps. 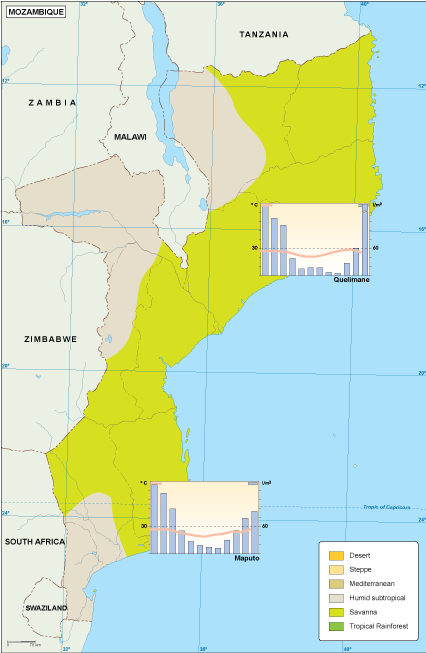 Vector maps and eps maps of the country. 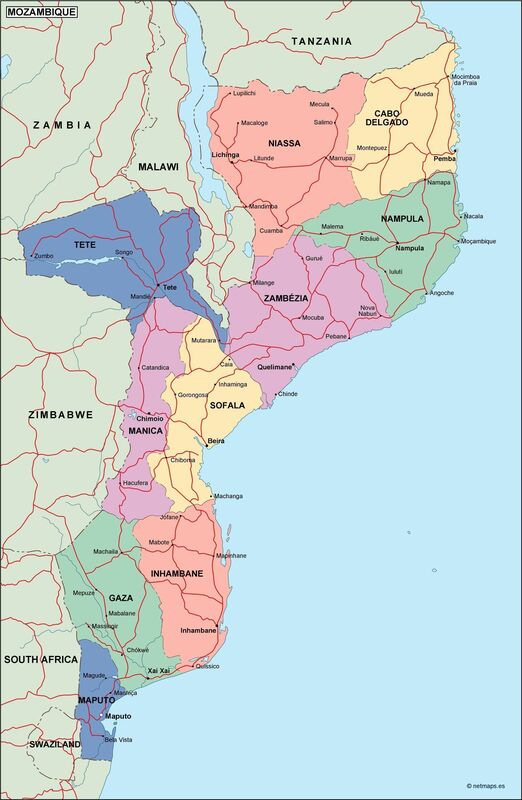 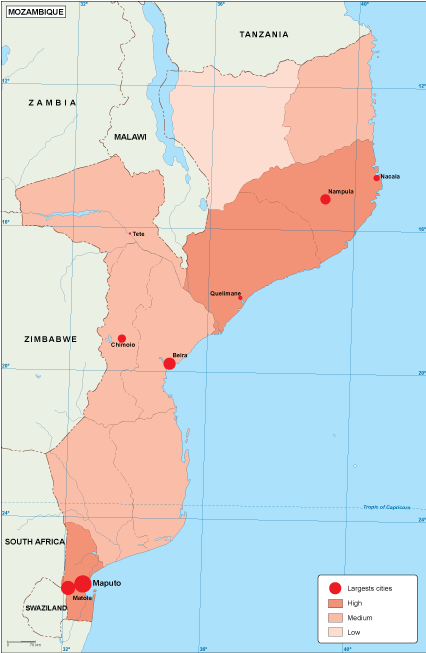 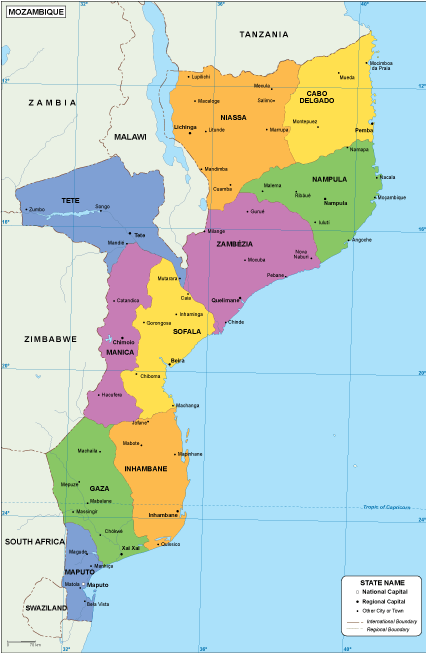 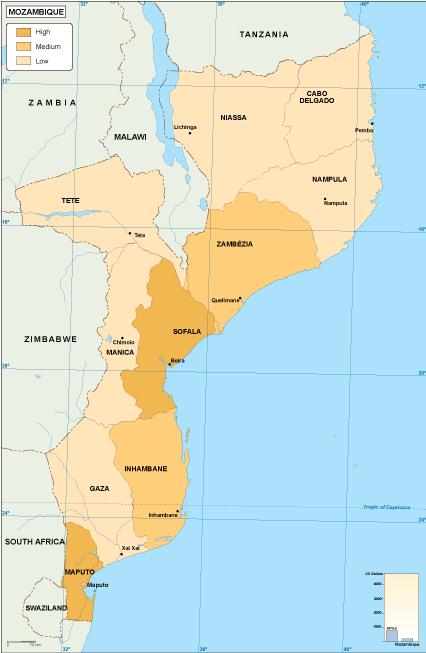 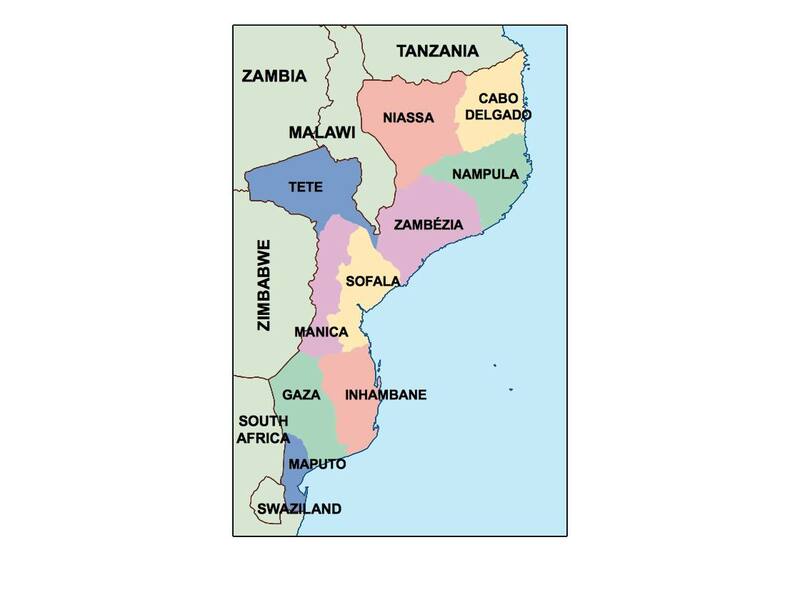 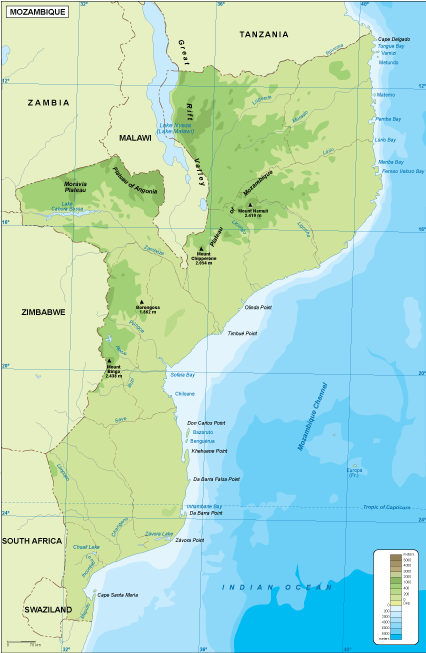 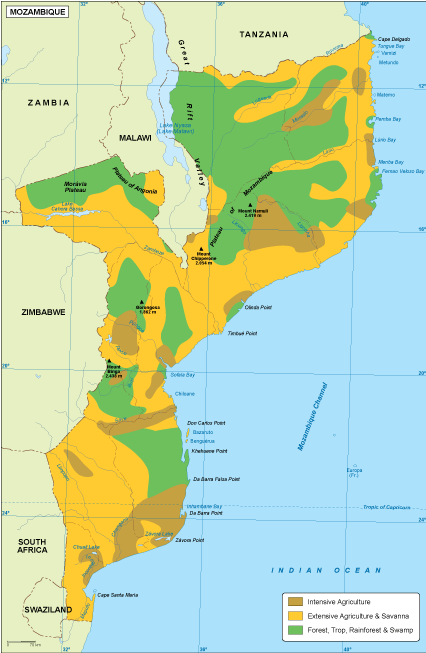 Mozambique is an African nation, bordered by Tanzania, Malawi, Zambia, Zimbabwe, Swaziland, and South Africa, on the eastern edge of the African continent. 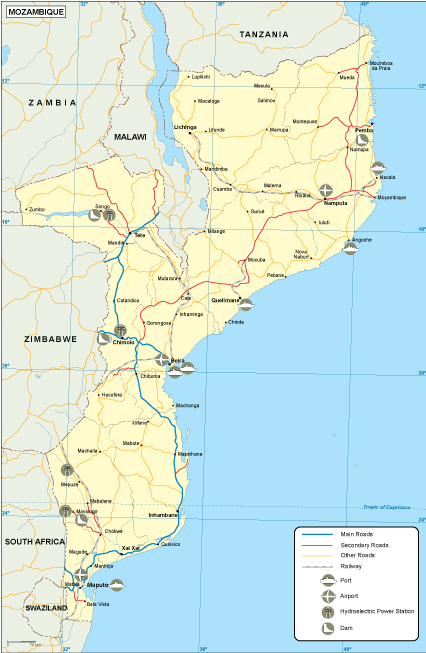 The capital and largest city of Mozambique is Maputo.